GetDivorcePapers.com provides professionally completed, 100% court-approval, money-back guaranteed Rhode Island divorce forms. Just create an account, complete the interview, and file for divorce. Our case managers do all the work for you, and send the completed Rhode Island divorce forms when they are ready to be filed. It is essential for the plaintiff to be the resident of the Rhode Island immediately one year before filing the case. Divorce papers can be submitted into the county of plaintiff if the requirement for the one year residency of the defendant has not been fulfilled. Rhode Island gives divorces to the spouse on the basis of both the reasons; the fault based and the no-fault based. However, both the spouses are required to agree with the reasons and also substantiate them later on during the proceedings. Irrecoverable breakdown to the marriage or separation between the spouses without any cohabitation for three years. Impotency in either of spouse. No contact for a long time and presumed to be dead. Drug and alcohol's abundant intake. There has been mentioned no specific factor in the statute of child custody in Rhode Island. This custody can be granted to either of spouses on the basis of set guidelines for the child custody. However, courts allow the reasonable frequency of visits for the non-custodian parent of the child unless he is not a criminal or has not done any domestic violence. Rhode Island is an equitable distribution state which divides the marriage property of the spouses into equal halves without bringing the cause into consideration. In this regard, separate property of the spouse including the gifts and inheritances are not divided. Contribution made by each spouse in acquisition of marriage property. Duration that the marriage lasted for and the terms between the spouses. Physical fitness as well as age of the spouses. Profession, employment, and monthly income of spouses. Contribution of each spouse in training, education and employment of other spouse. Need for the marital residence by the custodian parent. Any illegal or disloyal transfer of assets by each spouse. Inability of the custodian parent to seek for the employment due to the child care for the child in custody. Inability to support himself or herself due to lack of resources. Role of a spouse in giving rise to a peaceful environment in the home for the welfare of family. Living standards of spouses and their future prospects for employment. Needs of the both spouses and their capabilities for the alimony. Separate income of the child as well as his or her age and health. Basic needs of the child. Extraordinary needs including the higher education. The financial resources available to the parent. 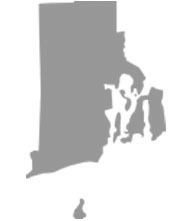 Rhode Island offers the facility for mediation for the spouses to reconcile them. There is official counseling program offered by the Family Court for the reconciliation of the parents. This request can also be made by either of parents. There is no need of a lawyer when applying for divorce in the state of Rhode Island. A divorce case which is filed without any help of an attorney in any of the states is known as Pro Se Divorce. Literally, Pro Se is a Latin phrase and it means "on her or his own". Process of getting the divorce without the help of lawyer may vary from one State to another. These types of divorces are perfectly legal and enforceable in Rhode Island, and are actually very convenient. Usually, once settlements have been made regarding property distribution and custody matters among the spouses in case of a mutual divorce, Pro Se Divorces are filed.